This timelesse short sleeves shirt is embroidered with the logo of Sebastien Chabal on the chest. It reflects on the sporty elegance in the pure tradition of rugby. 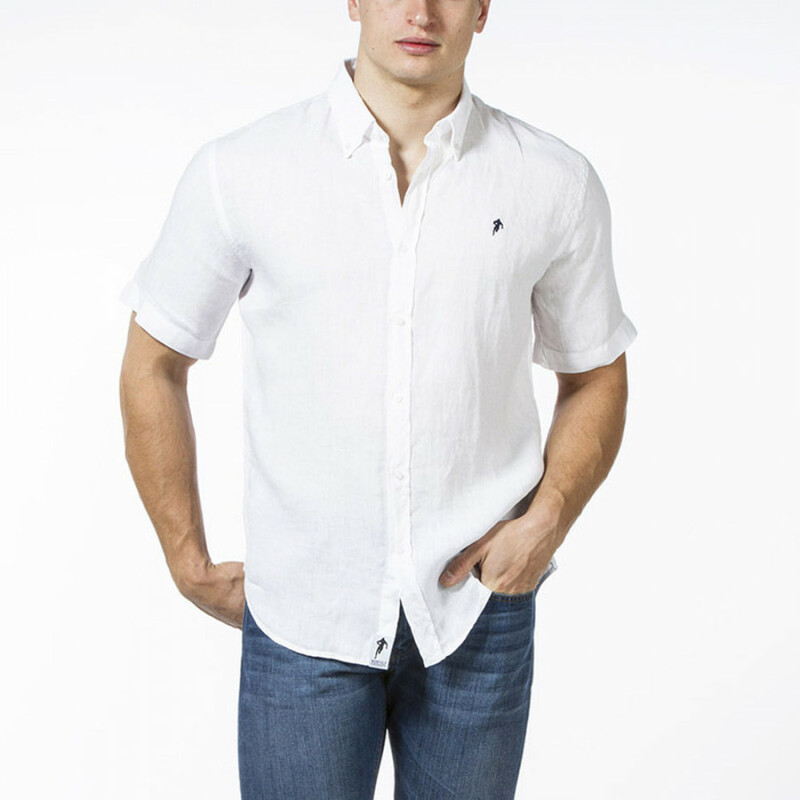 Timeless and elegant, this short-sleeved 100% white linen shirt perfectly matches with all kind of outfits. Point collar, button tabs tone on tone. Plain white on the back. Embroidered with the logo of Sebastien Chabal on the chest, this shirt reflects the sporty elegance in the pure tradition of rugby.